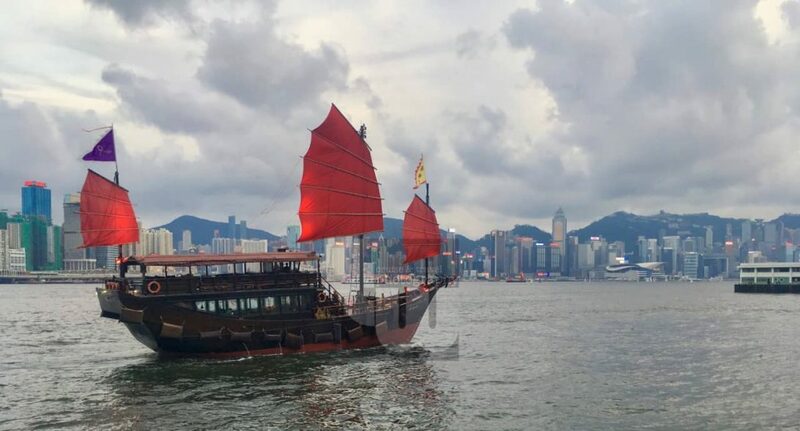 Yet before I open officially my 10 favourite things to do, let me give you a few interesting (fun) facts about one of the most diversified destinations in the world first. To make you understand, why this metropolis should absolutely be “Bucketlist Baby”. Toronto has been classified as the fourth most livable city in the world! Toronto carries the nickname “Hogtown” because of pork-processor William Davies. He died being butted by a goat! 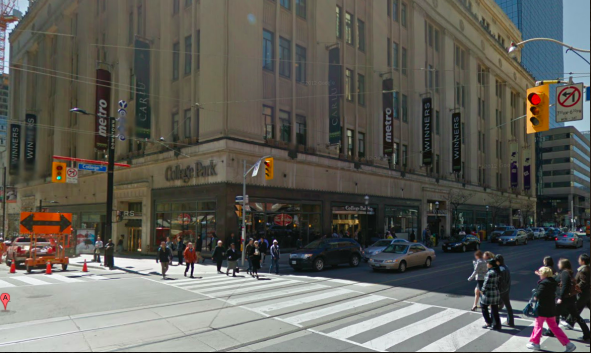 Toronto is Canada´s most important commercial centre. Don´t be afraid to suffer from hunger. The city hosts more than 8000 restaurants! A melting pot for cultures. Afraid of bad weather? 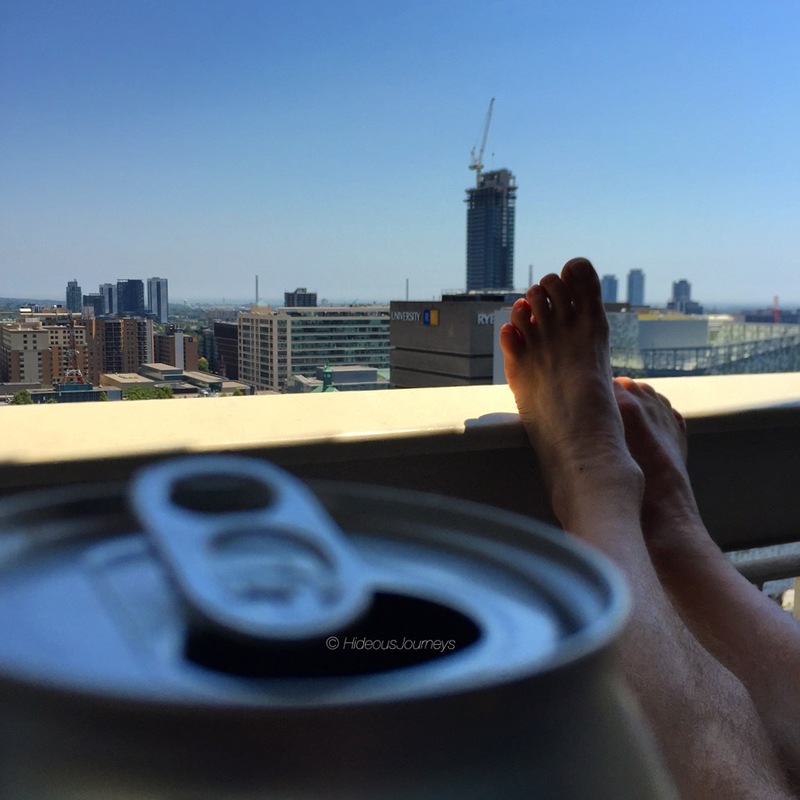 Toronto has in average 301 days of measurable sunshine a year. There are more than 200 public art works around the city, over 1,600 named parks with over 10 Mio trees and Toronto Island is the largest urban car-free community in North America with exceptional views onto the skyline! Host of the longest underground sidewalk sale in the world. 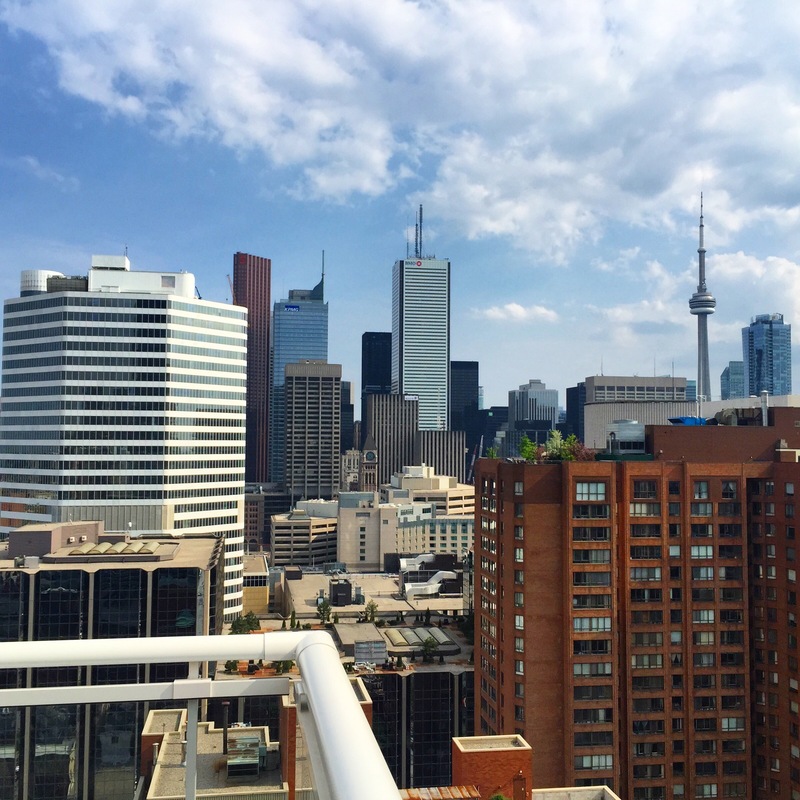 By 2020, Toronto is planned to have the largest number of highrise-condominiums in the world. Cultural Diversity is key in Toronto. Only 78,4 violent crimes were registered in 2014. That makes Toronto the safest North American metropolitan area (in comparison: Detroit climaxes with 2,112.9 violent crimes). Toronto is multi-cultural: Over 49,9% of the total population are immigrants or of immigrant heritage. That places the city third after Miami (59,5%) and Dubai (71%)! It also is home to the largest Italian population outside Italy.… So you will never have to be afraid of missing out on fab Med cuisine, right? Did you know that Toronto had one of the largest film industries in the world? Blockbusters such as “American Psycho“, “Chicago“, “Good Will Hunting“, “Total Recall (Remake)” or “X-Men” were at least partly filmed here. The Toronto International Film Festivals rank second in importance after the Cannes Festivals! So you see. There is absolutely worse places to go to and spend a few bucks at. Naturally, I enjoy going especially during the summer, but even during winter time, Toronto offers many fun in- and outdoor activities, such as over 52 public ice-skating ranks and many interesting exhibitions and museums, for example. Ferry across to North America´s largest car-free leisure community is always a highlight, particularly if you have the privilege to do this during the week. The island is then less busy and crowded and the perfect hideaway to escape the hustle and bustle of downtown. You can rent bikes and inline skates, simply read a book on the grass or go on extensive walks through this beautiful scenery. It is also fantastic for running errands in the mornings! 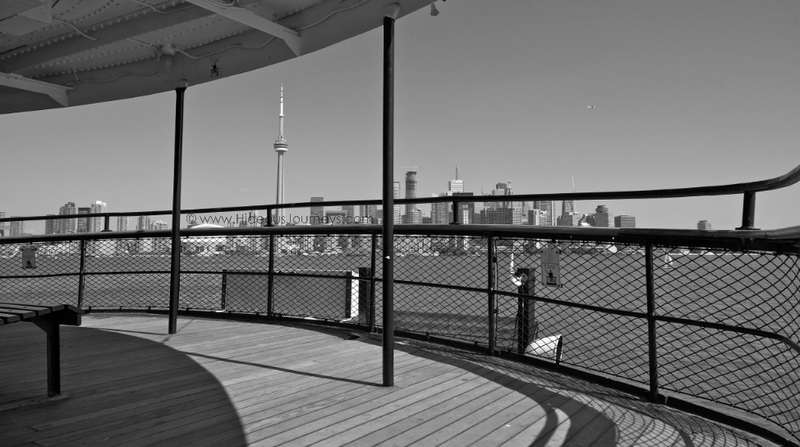 I love having picnics with a view and sometimes I simply ride the ferry for the outrageously gorgeous vista onto Toronto´s amazing skyline. Check here for prices and timetables. Riding the ferry in Toronto for amazing skyline vistas. It might be one of the most touristy things to do while in Toronto, but standing on the glass floor 342 metres above ground will give you the chills for sure! And if that is not enough, since this year (2015), CN Tower has launched the world´s most extreme attraction, EdgeWalk. This busy public space is one of the most popular meeting points for locals during lunch-time or in the afternoons. 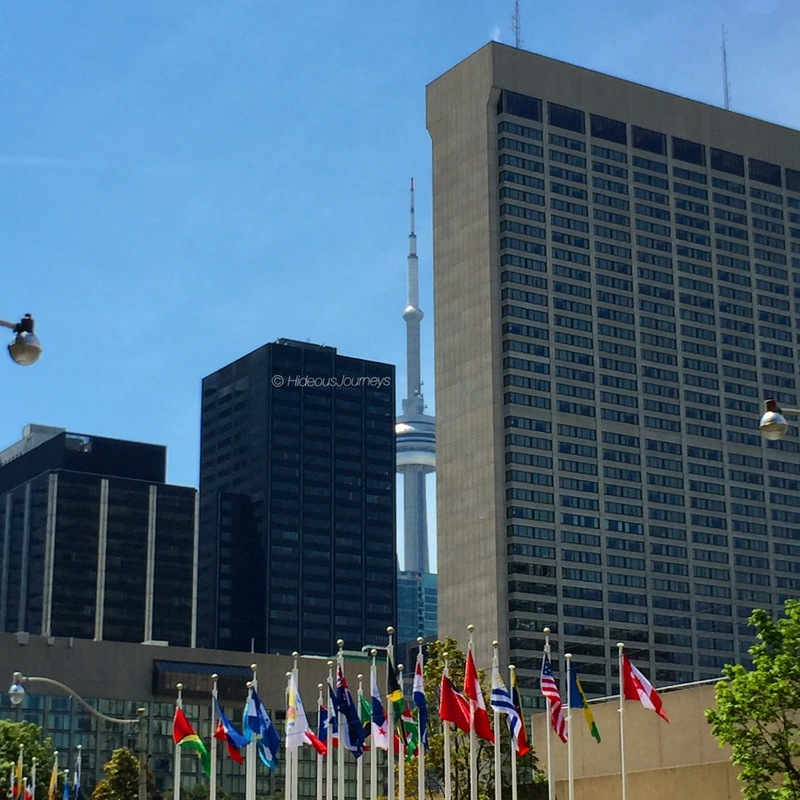 With its prominent location right in front of Toronto´s world-famous City Hall, Nathan Phillips Square is great for a relaxed afternoon coffee while watching people. It also hosts a weekly farmer´s market and is site to concerts, art displays and public events. Check here for upcoming events. One thing that you simply cannot leave Toronto without is having tried this highly popular dessert. 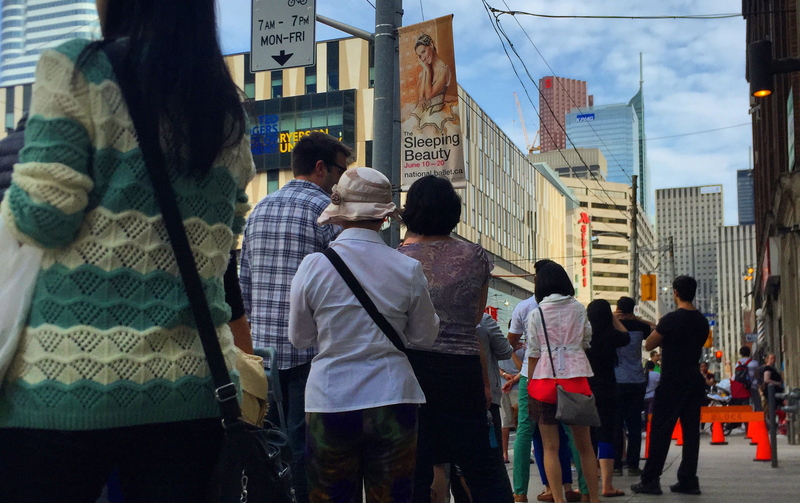 At peak times, long lines form outside the bakery on Bay Street & Dundas and the locals take waiting time of more than an hour into account. But it is well worth it, as I find! Try to get there early in the morning (they open at 7am). Just thinking about the soft and moist delicacy makes me want to get in line right away. Staying with food, this is heaven for everyone who loves supermarkets. While the term “supermarket” may not even be adequate at all. Loblaws is an event that you will have to see for yourself. It´s huge. It´s amazing. It´s food heaven. It might just be another large supermarket chain, but right from the moment that you step inside, you will see, feel and experience the difference. I could spend hours wandering through. There is so much visual inspiration (and not to mention the appetite stimulation…) that you will have to follow one simple rule: NEVER GO HUNGRY!!! 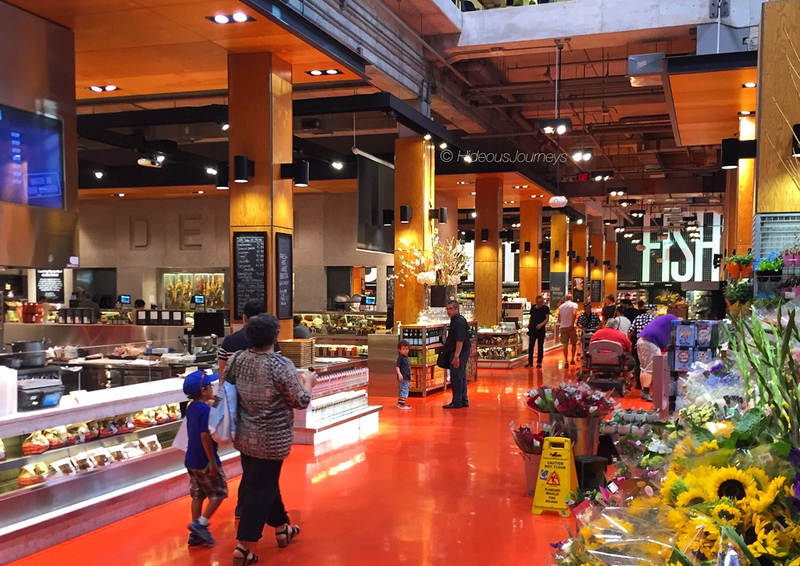 If you like food, you will love Loblaws! 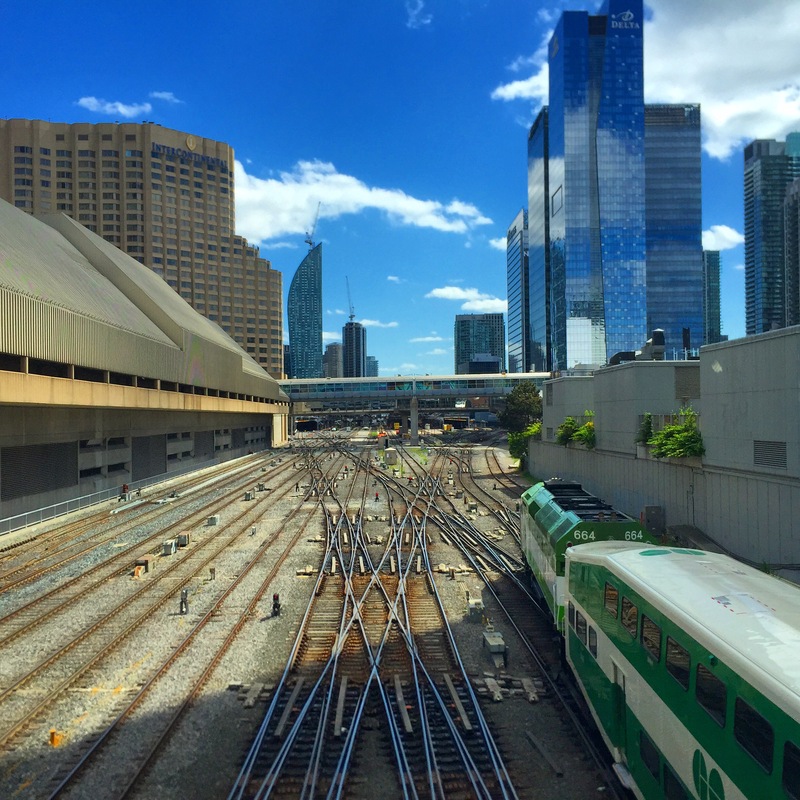 This shopping oasis is not an insider tip, but Toronto´s top tourist attraction by visitors (roughly 1 Mio per week) is a great place to spend and hour (or two) of sauntering. 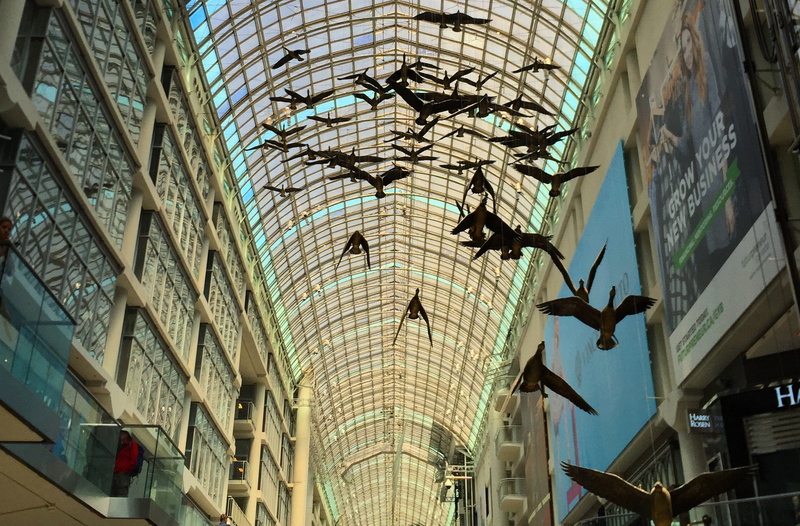 The construction was modelled after Milan´s gorgeous Galleria Vittorio Emanuelle II and Michael Snow´s artwork “Flight Stop” (fibreglass geese hanging from the ceiling) are world renown. My favourite store inside is the Indigo bookstore. Their collection of cook books is fantastic and I love browsing through their accessories department! Great stuff!!! I love labels! But I am NOT willing to pay full price. If you think the same way and you are fine with the fact, that these “department stores” are everything but chic, they are the places to be. Marshall´s (like TJ MAXX or Ross – Dress for less) is an American retail brand that focusses on Designer apparel at discount prices. The quality might be marginally less than if you were buying it at the designer brand´s store directly, but it is the price that will help you get over this! You might not always find something suitable every time, but if you are taking the effort and the will, chances are good that you´ll take something precious with you home! Winners is more or less the same, but Canadian. Other than Nathan Phillips Square, Dundas is a little bit the tireless teen along the city´s public squares. There is so much going on there, it is absolutely worth checking the calendar for free events. From movies to concerts to public yoga sessions to festivals, there is always something going on! A great time to hang around and watch (if weather and temperatures permit) are the Fountain Days! Young and old (and dogs) simply love to jump, dance, run or sing in between the water fountains. It´s fun, really! Try to dance without getting wet! 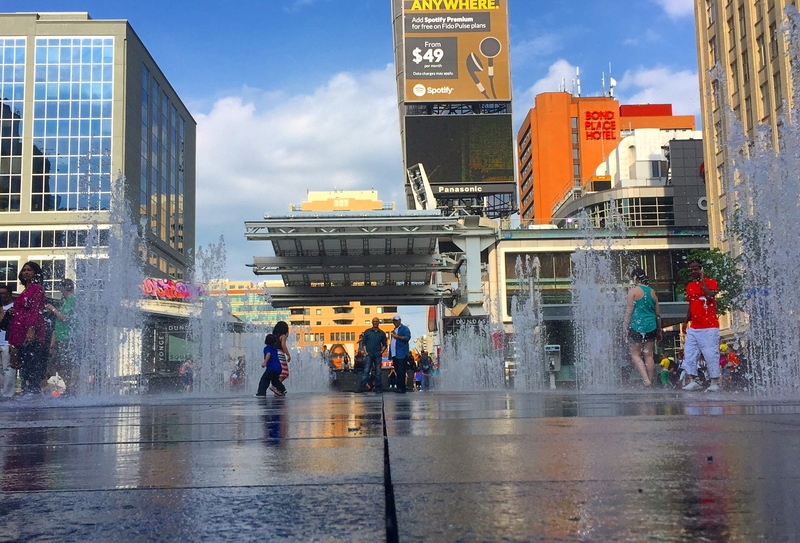 Fountain Day at Dundas Square in Toronto. 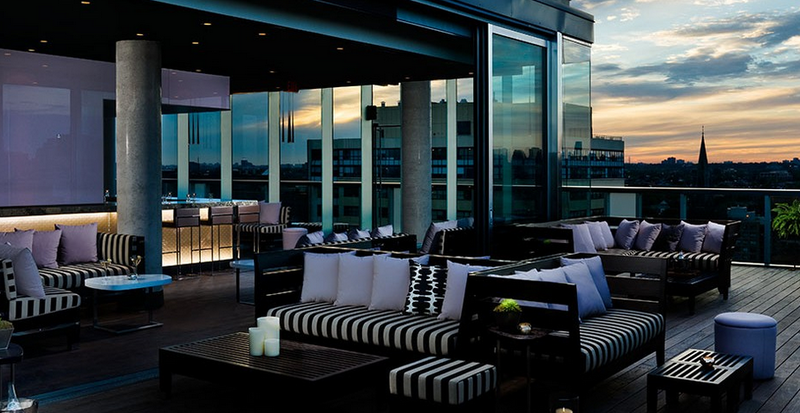 This is something a little bit more classy if you want to treat yourself (single, couple and/or group of friends) with a cool rooftop hangout and amazing skyline views. The hotel features an elegant environment on its top floor, fabulous for cocktails, dinner and hip conversations. A great place to watch the sunset or to lounge underneath the stars. Reservations are more than HIGHLY recommendable! Get more info here. Ever since, I always enjoyed visiting historic estates. 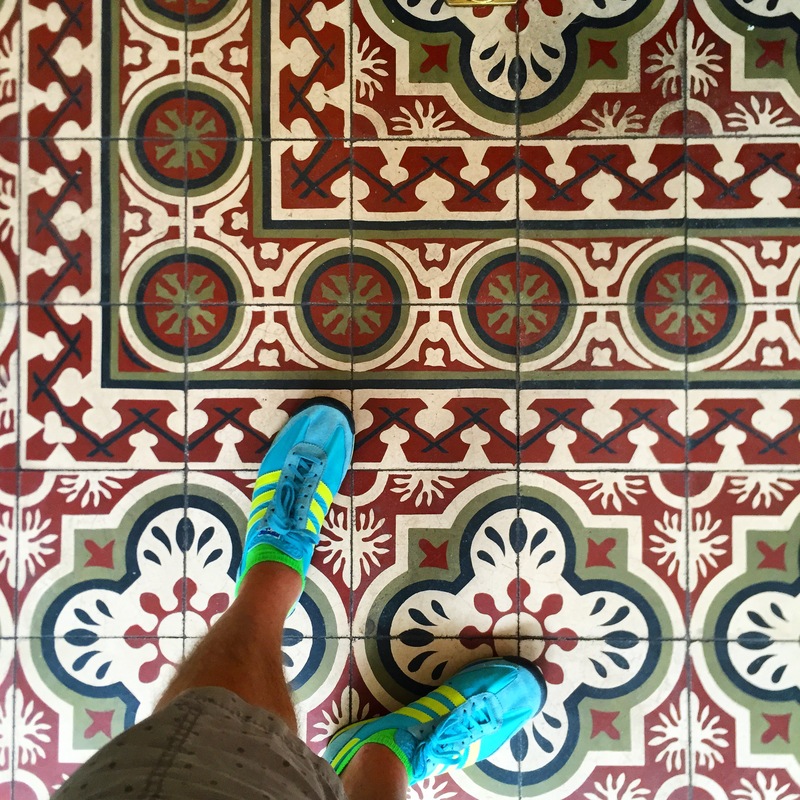 Diving into their stories and interiors is always great pleasure to me and gives me lots of inspiration. Like the Biltmore Estate in Asheville or the Calhoun Mansion in Charleston. 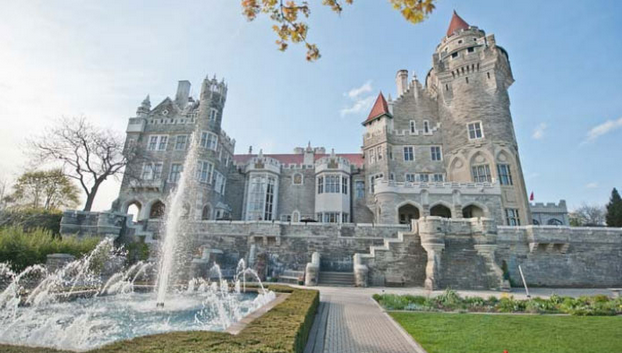 Casa Loma is Toronto´s fascinating estate. This castle like manor was built in the style of eclectic architecture and was finished in 1914. It has 98 exquisitely decorated rooms and was the largest private residence in North America at that time. Lavish! Take a virtual tour of the estate here. For a complete photo gallery, visit my photo blog website http://www.shipm8s.com, or click here. If you have the chance to try out any of my suggestions, let me know how you liked it!